← Calling Home is Too Expensive? ‘El Chapulín’ Can Help! Still not sure what to do this weekend? Historic Seguin, Texas will be holding its Chihuahua race event, an annual extravaganza pitting tiny, hairless dogs against each other for some unknown reason. 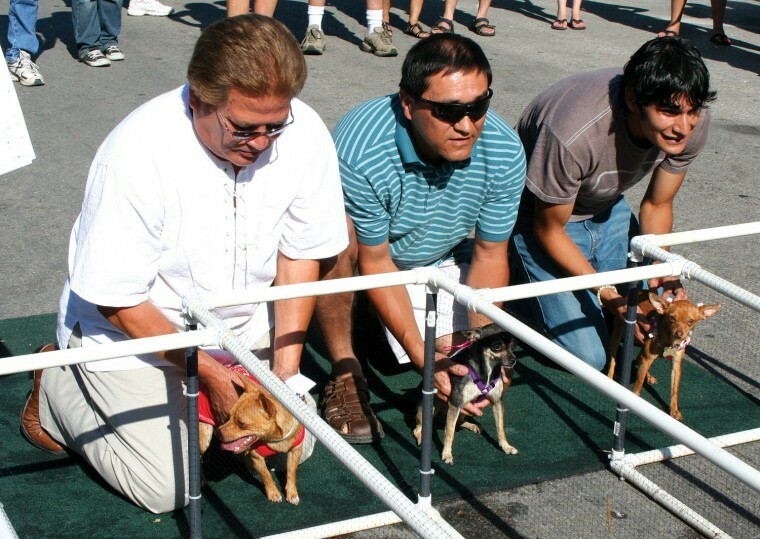 This entry was posted in Uncategorized and tagged Chihuahuas, Dog races, Seguin, Texas. Bookmark the permalink. Love this. Can’t wait to see the footage. But why the snark on Seguin? Did you mean to strike out “Historic” from the town’s designation? You do know Seguin is named after Juan Nepomuceno Seguín, one of the few Latino historical figure that’s been commemorated in Texas history and had a town named after him. Most historians have written of his honorable character but he was scrubbed by most Anglo Texas history books until he was recovered in the second half of the 20th century…by Latino historians.